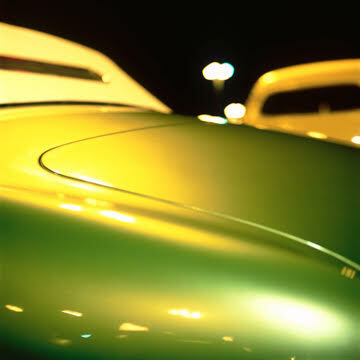 Growing up amid the hot rod and lowrider culture of Southern California, and living amongst the intense and saturated chromatic environment that is Las Vegas has had a strong influence on Shawn Hummel. Having spent the last several years making works that combine abstract images of surfaces and painted panels of solid color, Hummel began to experiment with a side project. Made from common materials; plywood, acrylic paint and colored pencils, this work is an intuitive and spontaneous way of working in the studio. While travelling Hummel began documenting roadside signage and architecture. He started to use lines from these images as the lines for drawings. These works inspired research into Sol LeWitt’s wall drawings and Case Study Architecture gradually evolving into this drafting style of mark making and a new way of working. The line work on painted panel pieces have an abstract quality, reminiscent of neon lines, pinstripes, blueprints and architectural renderings. Link to instagram page here.